Our core team has experience from Singapore, Silicon Valley, France and Mauritius, across a variety of sectors including finance, healthcare, education, technology, data, design and the creation of entrepreneurship ecosystems. Min is a master facilitator and systems thinker, passionate about combining the power of business, design, and technology for a better world. She started her first business at 17, and has been a serial entrepreneur ever since. She has held positions in banking, healthcare, and education, was also part of the team at Qik, a Silicon Valley startup that sold to Skype for $150M. It was in Silicon Valley that she really understood that design was in fact a mindset and practice, which has the power to transform business models and disrupt entire industries. Min has a degree in Finance and Technology Entrepreneurship from the National University of Singapore and Stanford University. She also runs PlayMoolah, a social enterprise that delivers financial education through game-based learning, and volunteers at ServiceSpace, a non-profit that believes in the power of small acts of kindness to change the world. Natacha combines operational excellence with a deep understanding of people. The relationships she builds and her empathy for people have served her in building world-class teams and lifelong customers. Being a perfectionist by nature and an engineer by training, has given her a natural flair in understanding systems and an insistence on quality. She has worked on the strategy and operations in building two companies from zero to fifty employees with a global vision and outlook. Two times laureate (in 1998 at Baccalaureate (Science) level and in 2005 at MBA level), Natacha holds Bachelors and Masters degrees in Microelectronics and Automation from the Polytechnics Institute of Montpelier and an MBA from IAE, Toulouse. She is also a professional trainer qualified by the Mauritius Qualifications Authority (MQA) since 2007, and a Business and Life Certified Practitioner Coach. She believes in building a company culture where fun and work can co-exist, and where everyone can bring their full humanity to work. Alam brings a passion for product to the team, combined with strong agile process, and a knack for data. ​He learnt to code before coding was cool, joined Oracle, and then became part of the mobile team at Yahoo! that built the first pre-installed App for the first iPhone. His experiences in hiring and managing large-scale engineering teams taught him the value of customer empathy and agile methodologies. Later, he co-founded a venture-funded prediction markets startup, and joined a non-profit that used big data and visualization to predict per-patient outcomes in oncology. Alam loves bringing the right team together to reimagine solutions to tough problems, especially intractable ones. He has a BSc in Economics from the London School of Economics, and loves improv! When he’s not trying to delight customers, he keeps out of mischief by writing, reading, swimming, and bringing good people together. Caroline believes that customer service should not be a department, or a nice value to have on the wall. Her dream would be that the culture of good customer service, in its widest definition, should form part of the Mauritian way of life at all levels of society. Caroline experienced unique customer service at its core after spending 9 years working in Australia, a country known for its exceptional customer service across all industries. Caroline holds a Bachelor of International Relations (Business) from Bond University and a Master of Commerce (Advanced) from the University of Western Australia. With a multi-disciplinary field of studies, she can understand how a business works its strategy, structure and management. With an acute business acumen and a desire to deliver exceptional customer service consistently, Caroline was nominated for Best Employee of Year 2017 for Subway Australia for the entire state of Western Australia. She was praised for her strong work management ethics, her display for attention to detail and most importantly to her customers. Ashwina strongly believes in People’s capacity: what drives and energizes her is to serve people and foster their growth and development. 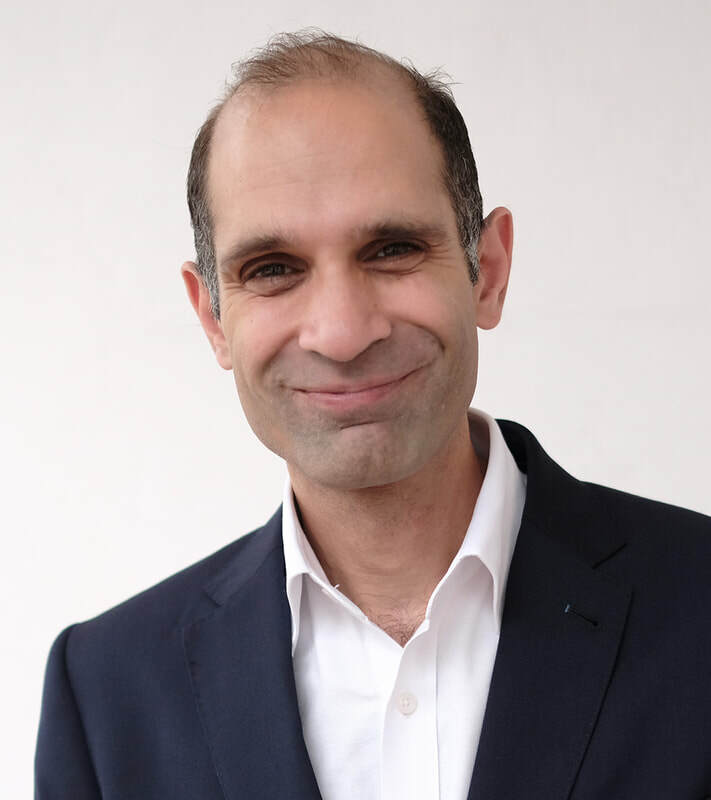 Ashwina has worked for various companies that specialise in Training, Airline services, Business Process Outsourcing and Learning & Development services for 26 years, in the capacity of Trainer, Manager, Chief Operations Officer and Consultant. Over these years, Ashwina has developed her skills in Software Implementation & Customer Support, Operational & Quality Management, Process Optimization and Team Management & Development. Through and across her different professional roles, she has always promoted healthy and dynamic workplaces to uplift and enhance people’s potential, and better equip them to achieve the company’s vision and strategy. Ashwina holds Bachelors in Information Technology and ECommerce from MCCI and an MBA from Université Paris Dauphine and IAE Paris. She is also a professional trainer qualified by the Mauritius Qualifications Authority (MQA) since 2017. Philippe strongly believes Mauritius will unlock its tremendous potential by finding innovative solutions to the complex challenges it is currently facing. He regards the Agile mindset and entrepreneurship skill set as key to developing these solutions. Philippe is a technology enthusiast, which led him to complete his studies as a Mechanical Engineer at Concordia University. During his degree, he was part of the finalist of SAE Aero Design international competition and also part of the winning team of CSME 3D printing design national competition. However, what really matters to him is the impact of technologies on society. He thus proceeded to discover the complex start-up environment of Montreal and cultivate an agile mindset through a Master Certificate in Innovation and Entrepreneurship at Concordia University. Regardless of his technical background, Philippe very much enjoys working in a team and constantly seeks to galvanise his teammates' strengths and strongly values collaborative work. He was praised for his unwavering willingness and contagious optimism during his training at District 3 and C2 volunteering experience. A keen intuition to sense, draw out and articulate the essence of any situation is Roslina's calling card. Artfully refined over 2 decades as a 6-times entrepreneur, lawyer, innovation-practitioner, lecturer and life-coach across 15 companies and 10 industries - including private equity, Formula 1, education, shipping, F&B, urban design and technology. For as long as Roslina remembers breathing, she has been a student of the quintessential question "what does it mean to be human? ", and an incisive observer of how each person, organization and community live out their response to this question. Insights distilled has enabled Roslina, and her clients, to build highly resilient and impactful teams. And as life has gently persuaded Roslina that humans are polymath in essence, she loves to weave wisdom from quantum physics, neuroscience, culinary arts, philosophy, ancient traditions, and management theories to create learning spaces and embodied experiences that enable every person’s essence and innate creativity to flourish. When Roslina is not pouring her heart into advising and mentoring founders, accelerators and start-ups, she can be found either creating recipes that delight the eyes, tickle the senses, and soothe the soul. Or on stage opening eyes, stretching minds, and engaging hearts. Ragu is the founder of Nyrasta, and has decades of experience developing data science and algorithmic solutions using a mix of crowdsourcing and systems thinking methods for agriculture, space, transportation and logistics, biotech and healthcare, which have led to complete implementations which saved clients millions of dollars per year. 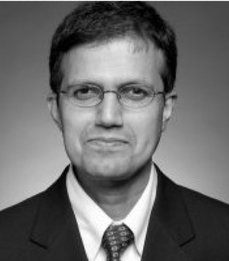 Previously, Ragu led the Data Science group at Topcoder, a competitive crowdsourcing platform, where he designed and implemented contests involving predictive analytics, optimization, graph theory, and image recognition for Fortune 1000 clients including IBM Watson, NASA, and Pfizer, among others. Prior to Topcoder, Ragu headed Babbage Analytics and Innovation. Ragu is trained as a biochemist (Ph.D Columbia University, New York) and systems thinker (SM, MIT, Cambridge, MA) with experience in the pharma industry (Vertex Pharmaceuticals), cheminformatics and crowdsourcing. Raven Chai is the founder, principal consultant at UX Consulting Pte Ltd, has over 17 years experience as a technologist, experience designer and usability practitioner. He has been involved in implementing UX practices in more than 170 projects across various industries and of different products – eServices, bank applications, large corporate websites, e-commerce, lifestyle, B2B portals, TV and mobile apps. 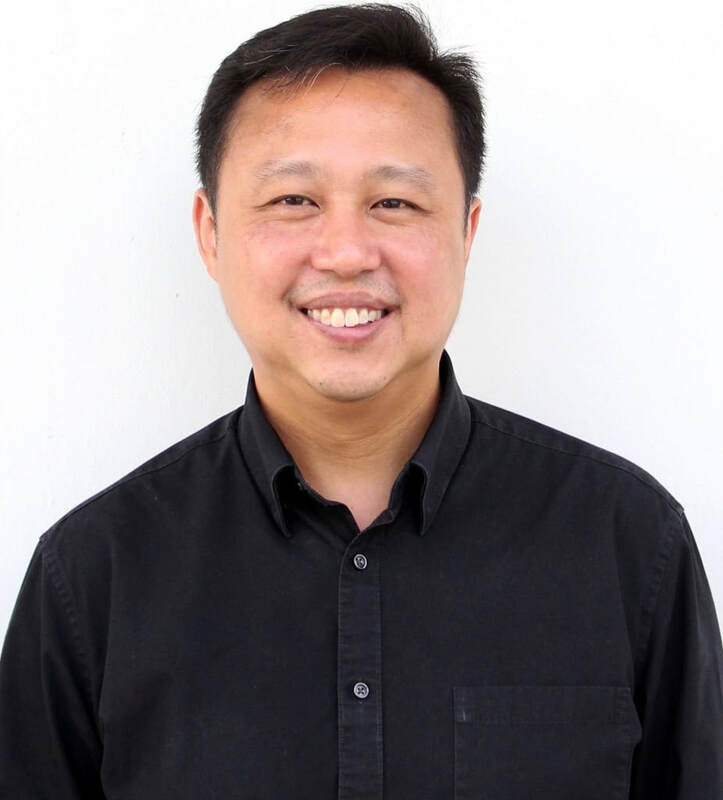 He has been providing advisory to various government statutory boards like SPRING Singapore, EDB and IDA in the areas of User Experience practices. Raven co-founded a local UX Community, UXSG as a platform for UX professionals, designers, developers and business owners to share knowledge and connect people within the industry. They have since organized three user experience conferences in Singapore since 2013. Raven held the position of Regional Director for Asia region within User Experience Professional Association International (UXPA) from year 2012 - 2014, to promote professional learning and collaboration among design and research practitioners. Raven holds a bachelor degree in Computer Science, major in Human-Computer Interaction and Visualization from University of Queensland. Zi Huan (Zwee) is the founder of Savant Degrees, a leading digital innovation studio in Singapore that helps business leaders across different sectors deliver successful digital experiences and innovations. Zwee has spent time in Silicon Valley and has led numerous business leaders and executives through digital transformation across industries ranging from banking, telecommunication, F&B, retail, to hospitality. Together with his team in Singapore and Jakarta, he has helped entrepreneurs and leaders from start-ups like RedMart, Give.asia to larger organisations such as P&G, PayPal and the Singapore government. Zwee has been described as “inspirational” and a “rare breed”- someone who is highly tech savvy and yet, able to fully understand real-life issues and provide innovative, impactful and simple solutions. He is also recognized as a great connector of ideas, people and organizations. Zwee is also the founder of a second venture Eunoia, a ready-to-use F&B e-commerce platform. Zwee has been actively involved in government panels, committees and initiatives. He has also spoken at events, forums and universities on leadership, entrepreneurship and digital innovation. Amelie is a serial entrepreneur, consultant, certified LUMA instructor and SCRUM master. With a knack for entrepreneurship and a stint in venture capital, Amelie has experience across multiple startups and established companies across HealthTech, FinTech, Telecommunications, and a wide variety of internet ventures. Most recently, she helped shape the human-centered design practice at Standard Charted Bank as an entrepreneur-in-residence at the eXellerator innovation lab, training 1000 bankers to become practitioners using the LUMA method, to co-creating new business ideas, and support various countries on their fintech engagement strategies and implementation. Amelie’s sessions are known for a high level of fun and energy, combining a deep entrepreneurial leadership, focus, and business savvy. Copyright © 2018 Africa Red Dot. All rights reserved.